Tiff and JPEG are the popular image file formats. Given that every file format has its purpose, these two formats have also found their purpose. Tiff file is used for printing, especially in the business world. JPGs are widely used on the Internet because of their lossy compression. What is the difference between a JPEG and TIFF? Let’s convert TIFF to JPEG! 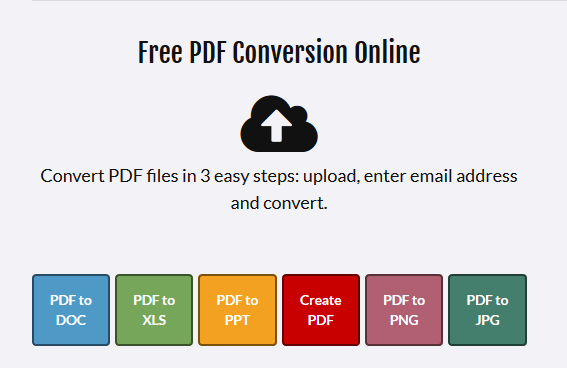 If you like using our free online PDF converter tools you would be delighted to know that you can use them to convert TIFF to JPEG. Go to free PDF creator and import TIFF file from Google Drive, Dropbox or drag & drop it from your computer. Download the converted file which will be in PDF form. Go to PDF to JPG converter and upload or drop the PDF there. The conversion will start immediately. Again, download the converted file to your computer or mobile device. This time, the file will be in JPG format. There you go! It is simple to use, 100% free and in just a few steps you can convert TIFF to JPEG. Last but not the least, the whole process is completely secure and anonymous. You are not asked to leave email address or to sign up. These conversion tools can be used even on the go, so next time you need to compress an image and convert TIFF to JPEG, don’t forget about these free PDF conversion tools.